Brought to you by the distributors of LiLash! 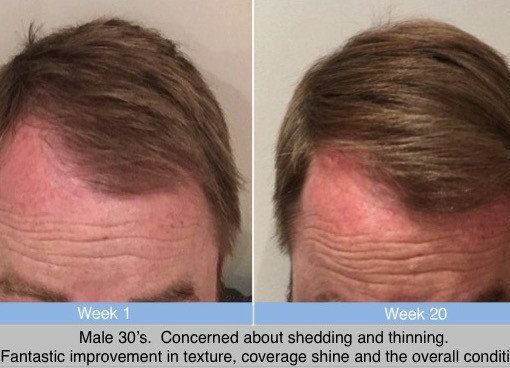 Used daily, Avante Hair Restoration Serum will give your thinning hair a new lease on life. 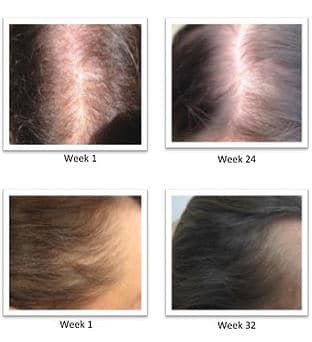 In 12-16 weeks, you will start seeing improved hair growth and coverage. 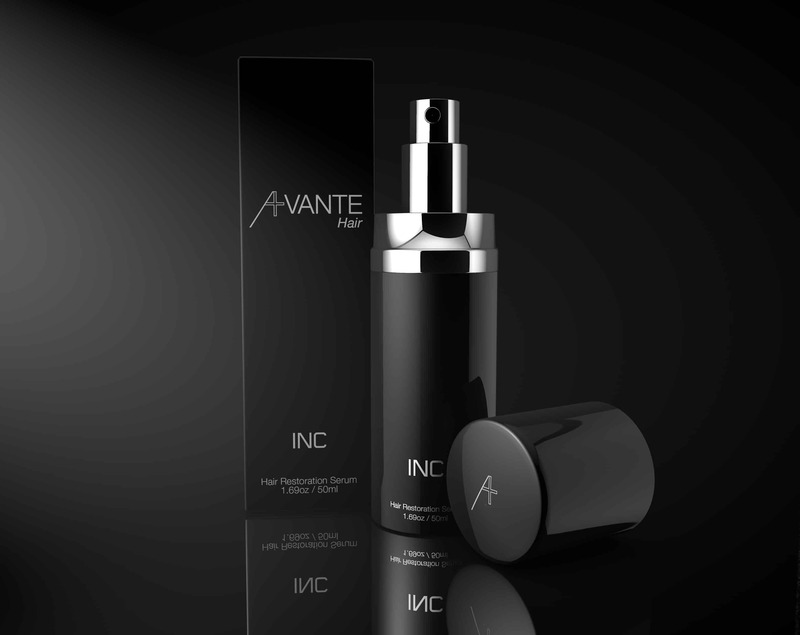 Avante is a technological breakthrough in the fight against hair loss for both men and women experiencing thinning hair. Nutraceutical ingredients provide nourishing peptides and vitamins combined with DHT blockers to deliver results directly to your hair follicles. 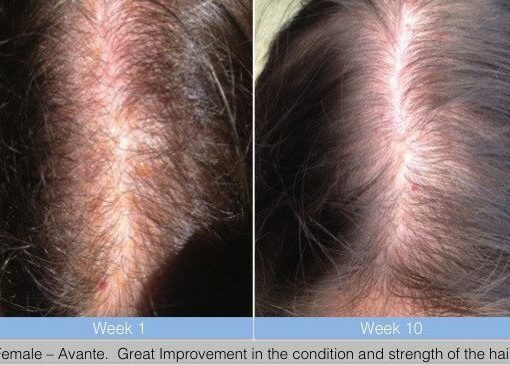 This product didnt worked for me. 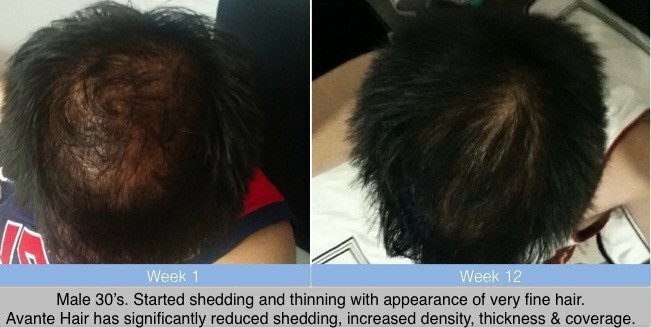 I used it daily for 2-3 month and have no result. My package of Avante Hair Restoration Serum arrived nicely packaged but unsealed and I wasnt sure if its supposed to be sealed??? I used it and only when I have no new hair regrouth it cross my mind that it could have been due to the broken seal (if thats supposed to be there) or its just smply doesnt work. Completely blown away by this product. Reduced the amount of hair I was shedding and has increase the growth and coverage on top of my scalp. I’ve tried so many hair loss products and Avante is the first one that’s actually done anything. Quite expensive and requires patience, however just add it to your morning routine after you shower and brush your teeth, stick with it and hopefully you get results like me! How to Use Avante Hair? 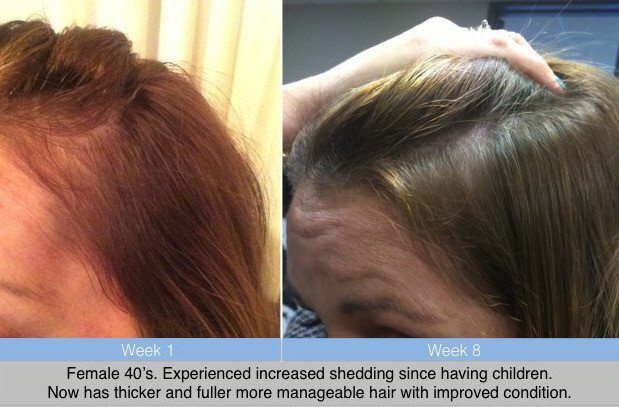 Are there any side effects for Avante Hair? If you are known to have an allergy to any of the ingredients within Avante Hair, we would advise that you do not use the treatment. Side effects of these ingredients are rare but on occasion >0.6%, someone my develop a reaction. What is the shelf life of Avante Hair? 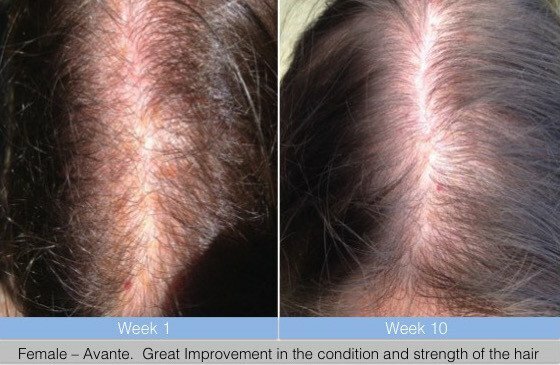 Can I use Avante Hair if I'm pregnant or nursing? As the active ingredient in Avante Hair has not been tested on pregnant or lactating women, we advise not using the treatment. 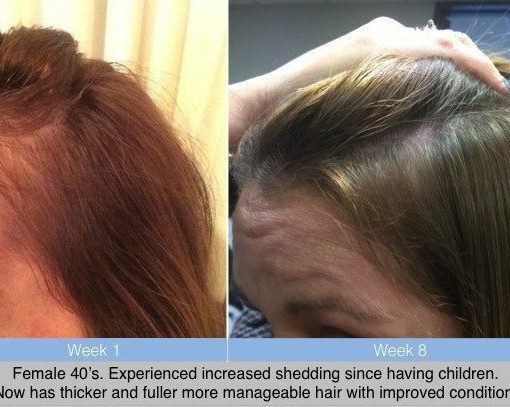 The hair growth cycle can be as long as 18 months and we recommend daily use for the first 16 weeks. 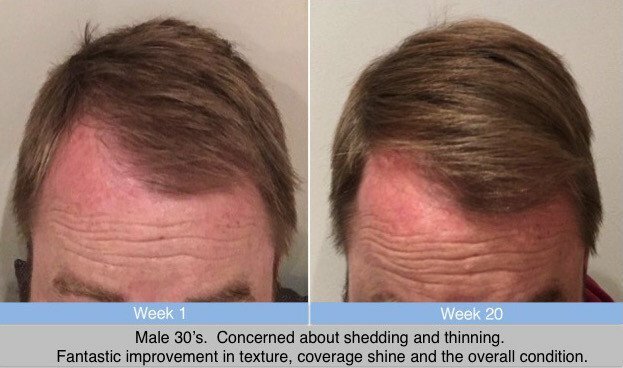 You should start to notice some changes in hair growth at about week 8 but by week 16 the full effects will start to be seen. When you cease to use Avante Hair, initally you will not notiice any changes and then you may start to see and increase the hair shedding as your follicle normalise without the nutriceutical ingredients. We recommend the use of a natural shampoo and conditioner that will also assist with the symptoms of hair loss. We recommend Zenagen Revolve. For the product to work effectively, you will need to keep your scalp dry for a minimum of 4 hours. We recommend applying Avante Hair after swimming. 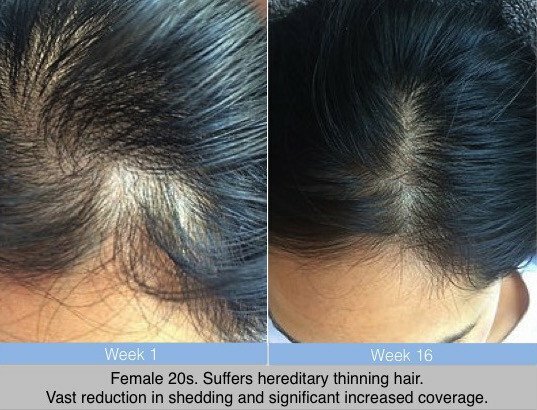 Will I get better results if I use the product twice per day? Vitamin B5 helps prevent hair loss by providing the follicles with essential nutrients. These nutrients ensure that the follicle produces strong hair. 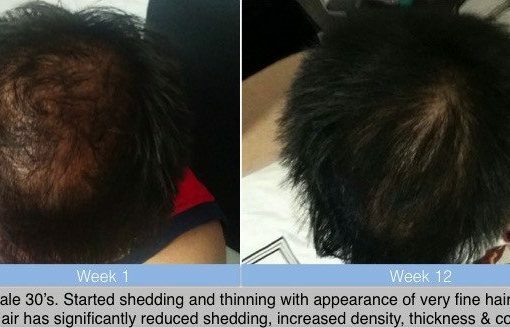 It has also been shown to result in a rapid cessation of hair loss in those at the early stages of shedding. Glycerinum is a natural emollient derived from pure vegetable sources and provides moisture to the hair shaft and scalp. There is anecdotal evidence of micro nutritional benefits of using glycerinum. Green Tea Extract contains polyphenols and flavonoids which provides antioxidant and anticarcinogenic properties. Other important compounds found in Green Tea Extracts are carotenoids (Vitamin A), tocopherols (Vitamin E), ascorbic acid (Vitamin C), Zinc, Selenium, Chromium and Manganese. The polyphenol within Green Tea is called epigallocatechin gallate (EGCG) which inhibits 5-alpha reductase, blocking the formation of DHT. 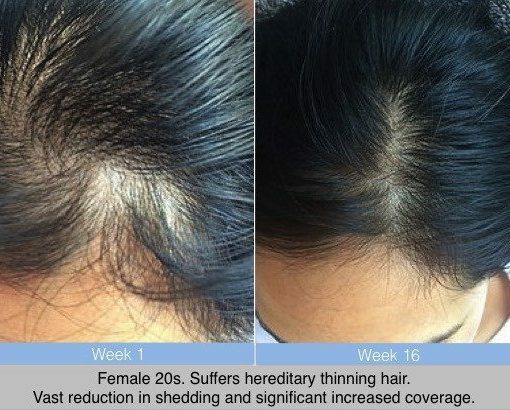 Serenoa repens is a naturally occurring 5 alpha reductase (5aR) inhibitor which decreases dihydrotestosterone (DHT) uptake by the hair follicle and decrease the binding of DHT to androgenetic receptors. It works slightly differently to the Green Tea and blocks the receptor sites on your cell membranes that allow the absorption of DHT. This key active ingredient is a conditioning agent helping to support the growth phase of the hair follicle.